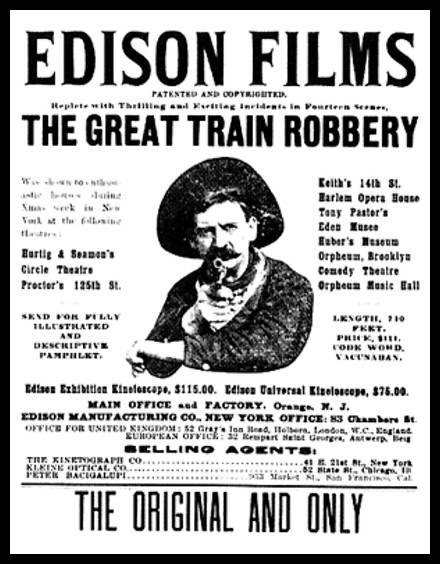 In 1903, Edwin S. Porter wrote, directed, and produced a film called ‘The Great Train Robbery’. It starred such pioneers as Alfred Abadie, Broncho Billy Anderson, and Justus D. Barnes, and overall it did really well at the box office due to Edwin breaking new ground in the art of filmmaking. Well, not only did he innovate and expand upon the use of the camera (in order to tell a sequential storyline), but in addition to this, he also introduced a number of smartly composed editing techniques, such as a quick jump-cut, for instance. As a matter of fact, this silent film did so incredibly well, both financially and creatively, it was remade one year later and became the first remake in Hollywood history. You see, Siegmund Lubin, who was a German entrepreneur that distributed films for Thomas Edison, saw this one and was very, very impressed by how much it managed to make, Ka-Ching! So much so, in fact, that he decided to duplicate it with his own cast of actors! 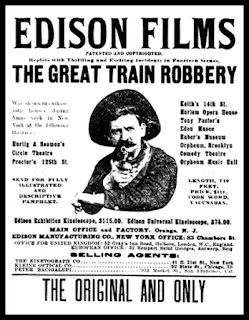 After all, it was only 12 minutes long (depending on the frame rate), and revolved around a group of outlaws holding up a train and being chased afterwards (based on a story written by the playwright, Scott Marble). Therefore, all he had to do, was to follow in the same footsteps as Edwin did previously, but he had to do so before a new copyright law was put in place, a new copyright law which protected film reels, physical film reels, from being copied and resold for profit. Which he did, eventually, the sneaky German sod. 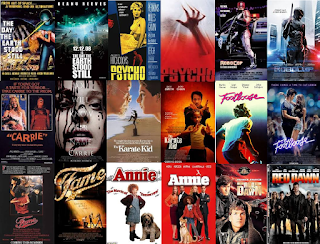 1) Which movie has been remade the most? 2) How many times has a remake been remade? 3) How long does a filmmaker usually have to wait before they can remake a movie? ... and through this, they’ve discovered a number of fairly intriguing facts. 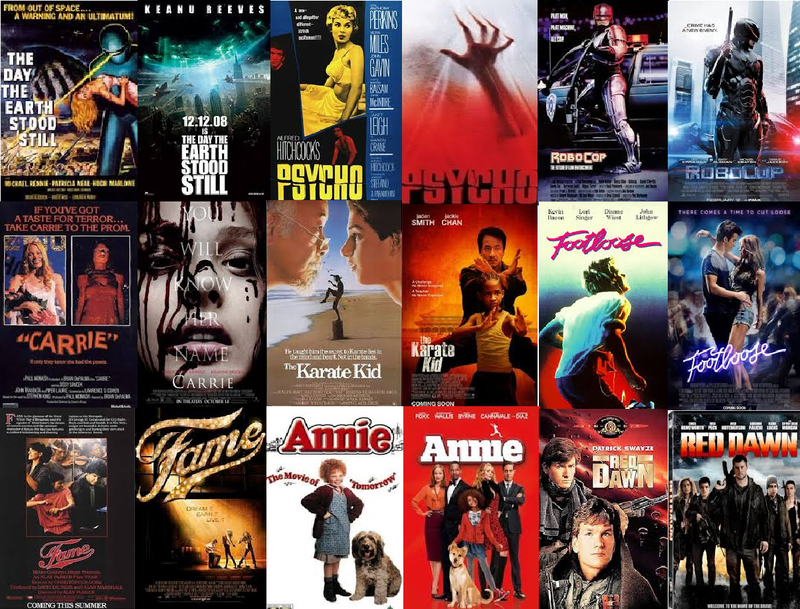 For instance, did you know that the average time between an original film and its first remake is approximately 23 years, give or take a year, with this gap growing shorter and shorter with each subsequent remake? What's more, you might also like to know that the movie with the longest gap between remakes was Robert Wiene's version of 'The Cabinet of Dr. Caligari', with the original coming out in 1920 and the remake coming out in 2005 (85 years later). This was then closely followed by Disney's version of 'Dumbo', with 78 years between the 1941 original and the 2019 remake (due out later this year). To find out more, please take a look at the full list of movies featured in the interactive table below! Or alternatively, click here to load it up in a new window. Please enjoy. In closing, I would just like to thank Music Magpie and Inter-Pathe for allowing me to use their resources in this article, before encouraging you to click on the links provided for further information. Many thanks.